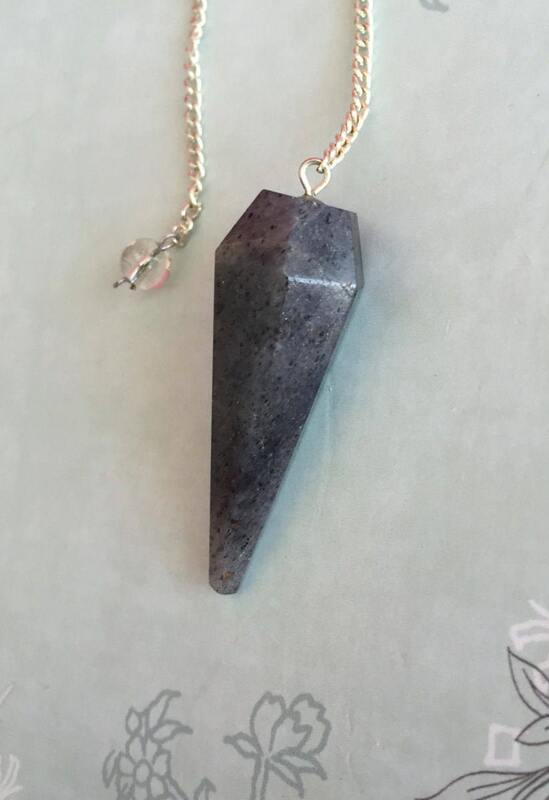 This Light Gray Agate Pendulum has small spot of black all over the Pendulum. 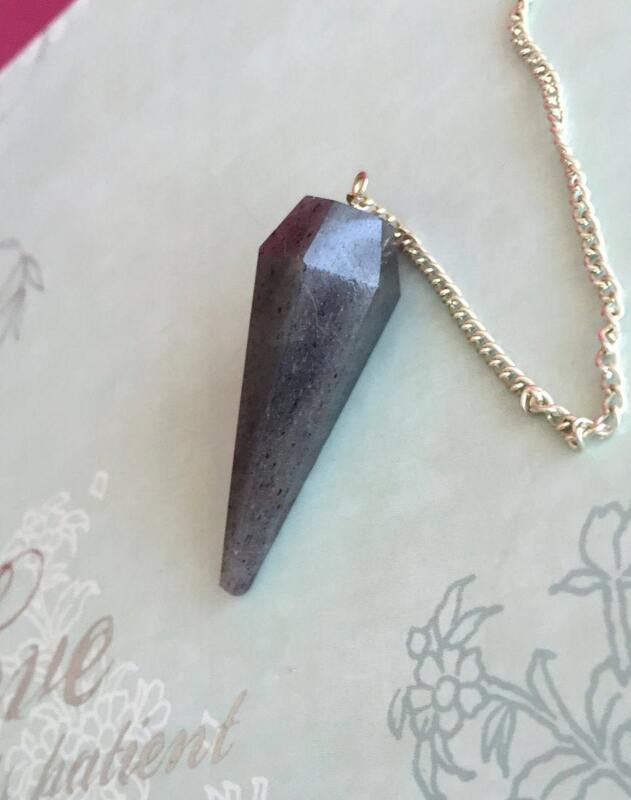 Agate is a grounding stone, bringing about an emotional, physical and intellectual balance.Crystal Pendulum is perfect for those interested in meditation, energy healing, crystal healing,reiki, yoga, psychic development, and much more! 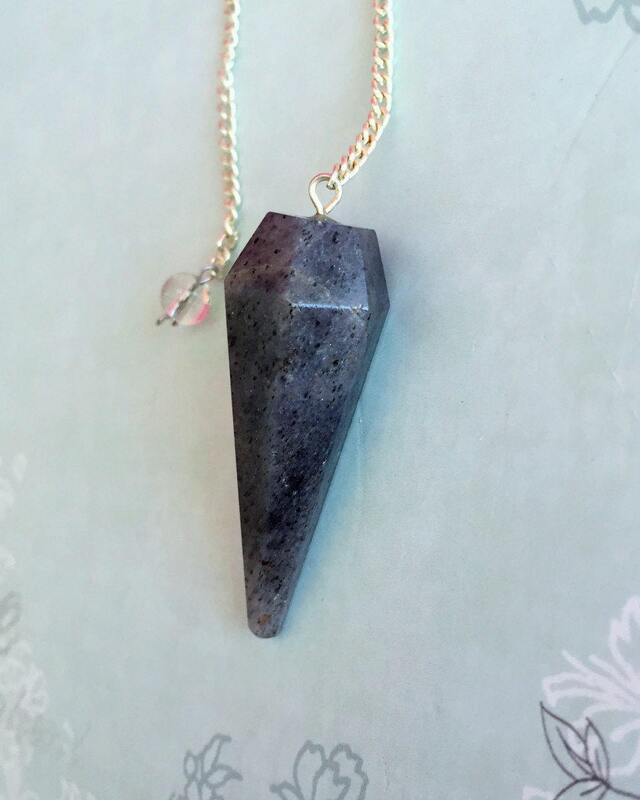 Want to see our collection of Pendulums?